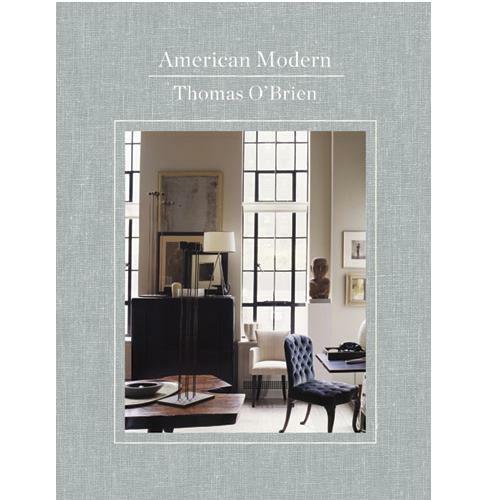 Designer and merchant, collector and tastemaker, Thomas O’Brien has made a career of translating cool notions of modernism into an easy and generous array of modern styles that anyone can attain. Now he introduces readers to a range of those styles—from casual to formal, vintage to urban—alongside stunning photography and charming design stories. O’Brien carefully describes the design process of his chosen projects, including a downtown New York City loft, a traditional Connecticut estate, and a converted schoolhouse in eastern Long Island. Each home explores a view on the modern design spectrum he has created, as well as the individual choices that make the design unique and its mix essentially American. He explains not only what was at work to create a given style, but how readers can import those practices to their own homes and personal design sensibilities. Important design principles such as architectural authenticity, color relationships, correctness of scale, and informed collecting are threaded through a practical narrative that reads like a master class in interior design. American Modern is an inspiring design volume that will redefine the way readers think about modern interiors.